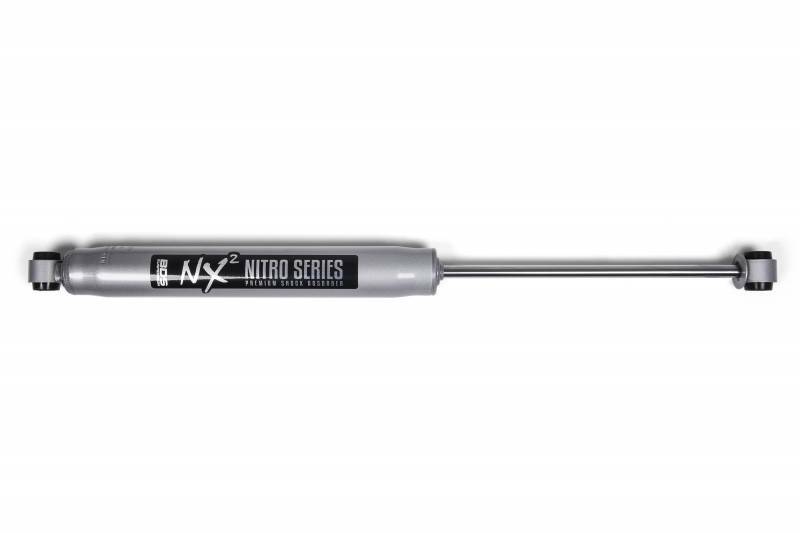 These NX shocks give high-end performance at an affordable price. They use a pressurized nitrogen charged twin-tube design with 10-stage velocity sensitive valving for lightning fast dampening adaptive to whatever terrain you find yourself traversing on or off-road. The 2" bodied shocks use a large 1-3/8" fluon banded piston, self lubricating seals and a 14mm hardened chrome shaft to help resist rock chips and corrosion. The ends are dual welded for increased strength. 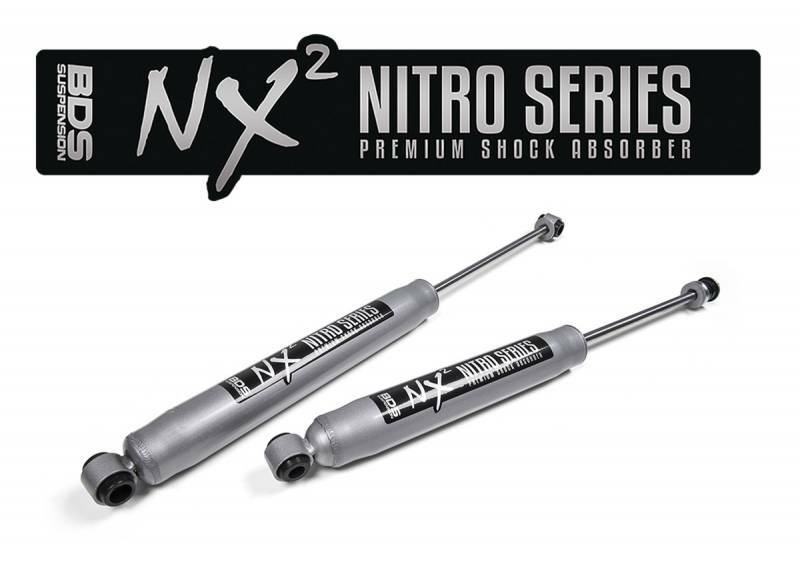 Polyurethane bushings and metal sleeves are included to make swapping over your shocks a breeze. These shocks are offered in various stem and eyelet bushing configurations for custom applications and available to work with all current BDS lift kits. The exterior of the shocks are finishes in a durable metallic silver paint with NX branded decals.